A concise and colorful history of the Jewish people in the United States. This new addition to the JPS Guide series chronicles the extraordinary history of American Jewry. 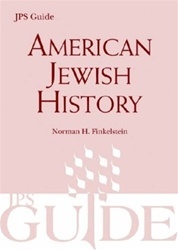 Finkelstein tells the dramatic 350-year story of the people and events that shaped the lives of today's American Jews. 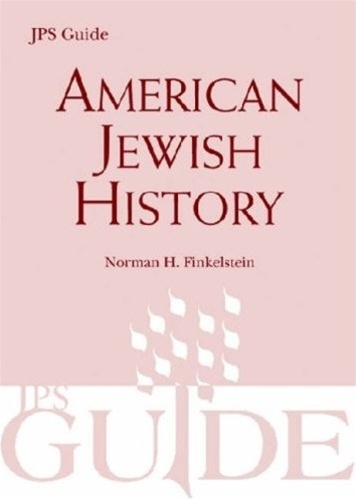 Divided into six time periods, American Jewish History describes Jewish life from the time of the early settlers, to the period of massive immigration that flooded the cities, to the incredible growth of Jews in positions of influence in business, politics, and the arts. This is a story of a people who affected not only the lives of Jews in the U.S. today, but also the course of American history itself. There are over 70 black and white photographs, maps, and charts and more than 120 feature boxes and biographies throughout, as well as timelines, notes, a bibliography, and index. Finkelstein has made the saga of American Jewry much more than a compilation of historical facts. This is wonderfully stimulating journey--a worthwhile adventure for readers of all ages.